If we wanted to identify one of the most tangible aspects of an economic recession, we would certainly have to turn our heads to the sight of empty, closed restaurants. According to the Economic Policy Institute, the Great Recession started in 2007 and ended in 2009, but we can still see and feel its big shadow over our heads, and especially over restaurants. Nevertheless, restaurateurs maintain a positive attitude and, according to The Spring 2012 ReCount study done by NPD group, by March 2012 nearly 1,000 independent restaurants and over 1,800 chain restaurants opened. Now, the question is: does this trend give us some hope or are new restaurants doomed to fail in a still fragile economy? What does this mean for my restaurant? According to the Perry Group, most restaurants close during their first year of operation; and 70% of those that pass the first year, close their doors in the next three to five years. Restaurants usually fail during their first year of business because they are under capitalized. Many restaurant owners have the vision for their menu and even the look of the restaurant, but they don't have a vision for the business. Construction and initial opening expenses can be high, and it might leave you without enough funds for your launch and operating costs. 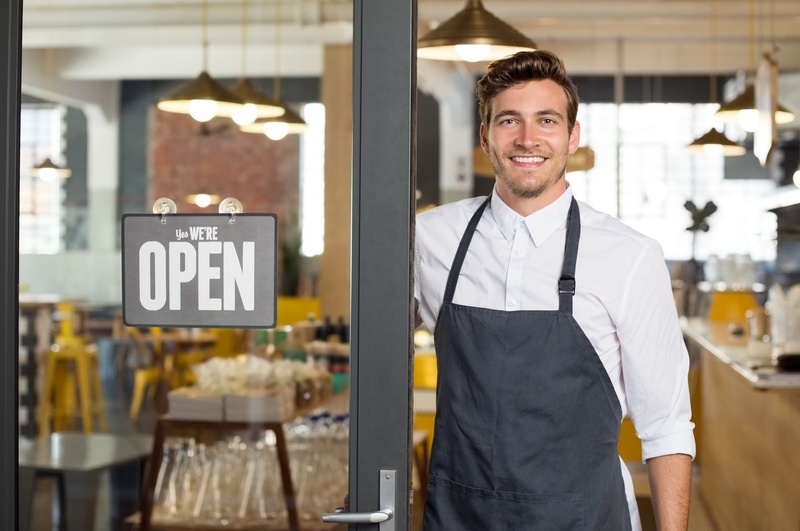 If you are thinking of opening a restaurant or are about to open one, make sure you have enough money in the bank to cover your immediate costs, additional food and beverage re-order, two payroll cycles, six months of rent and, at least, six months of marketing. >>Develop cost effective strategies with this menu engineering worksheet. Download here! What else can I do to keep my restaurant doors open? Don't micromanage: Delegating is one of the hardest things an owner or manager will have to do, but it's one of the healthiest for a business. Make sure you understand all parts of your business, but also be careful not to try to control everything... After all, as humans, there is little we can control. Make sure you hire the right people: Having the right or wrong people on board will make a difference on the final outcome of your restaurant as a business. So, hiring and training a team that understands and embraces your passion is key. Use restaurant discount offers carefully: Discounts can be good, but you have to be careful that it doesn't become your restaurant's flag. If you're patrons go to your restaurant only because of the discounts and coupons not because your food, location and service, then you're in trouble. Now, i'm not saying that you shouldn't use coupons and discounts, but you should use this strategy in a way that helps your brand and overall marketing strategy. Create a marketing calendar: A marketing calendar is the equivalent of a compass in terms of your brand. I can't say how many times we have met with restaurateurs that have been trying to get on their feet, but they don't even have a marketing plan in place. As any other business, restaurants need marketing and branding plans to survive. Ideally, you should be 6 months to 1 year ahead with your marketing plan. Budget: Your restaurant budget is your second compass. Having a budget will allow you to assign specific expenses to your operations, including your marketing. We have been approached many times by restaurant owners or restaurant marketing directors/managers asking for marketing miracles and when asked about their marketing budget, the most common answer is: we don't have one. Your restaurant menu: Is your restaurant menu a reflection of what you like or what your patrons would like? Does your menu have 45 items, so overwhelming that your customer doesn't know where to start? As irritating as Gordon Ramsey can be, he does have a point when it comes to creating menus: cut the menu down! It's better to have 10 amazing dishes than 45 so-so items; and make sure you have at least one signature dish, something that your restaurant is known for. Finally, make sure that your actual printed menu is easy to follow and visually appealing by representing your restaurant brand. This will make a dramatic difference on how the dining experience is embraced by your patrons. Branding and marketing: Traditional marketing, like your in-store materials (posters, table tents, t-stands, banners, menus, etc.) is a good way to stay in the mind of your current and potential patrons that walk-in or by your restaurant. But what about those who don't know about you yet? Here is where the new media kicks in. Make sure you have an online presence with your website (please, please, pretty please, be sure it is responsive design), at least Facebook, Twitter, Instagram and Yelp (there are others such as Foursquare, UrbanSpoon and Google+ that you can also include in your list), and email marketing. Hire a good design studio: Get a professional team to develop and implement your brand and marketing strategy. Even though do-it-yourself logo, menus and website software exists in abundance out there, your final outcome will be as crappy as anyone trying to make your signature dish at home. Put your ego to the side and let yourself be guided to develop a powerful restaurant brand and meaningful marketing approach. In conclusion, the success of a restaurant is based not only on great-tasting food and presentation, but also on the way you actually operate your business. Having the right people, delegating, having and implementing a marketing calendar and asking for help on time will make a difference. Contact us here for your restaurant marketing, branding, design, website and more. Develop cost effective strategies with this easy-to-use menu engineering worksheet here!